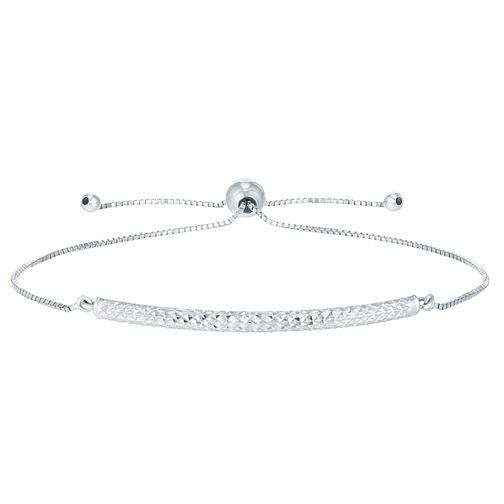 Unique and sophisticated, this beautiful 9ct white gold bracelet is a charming addition to any outfit, taking you from day to night effortlessly. 9ct White Gold Patterned Bracelet is rated 1.0 out of 5 by 1. Rated 1 out of 5 by Anonymous from The sliding clasp became loose within 2 weeks. Very delicate chain that began to twist. The sliding clasp became loose within 2 weeks.